Making Kentucky transmission line construction or maintenance difficulties fly away. Helicopters can make relatively easy work of challenging transmission line difficulties. Combining the power to haul and deliver heavy equipment and supplies with the dexterity to string wire and inspect lines, helicopters can assist line workers in any situation. Kentucky Transmission Line Construction helicopters can do it all. Work over wetlands, or remote terrain. FairLifts works with a global network of operators, so we can get our clients the ideal helicopter and skilled pilot for any job. Call our experts any time 24/7 for more information, quotes or bookings. Kentucky offers up a little bit of everything when it comes to terrain: swamps, major rivers, the Appalachian Mountains, rolling hills and farmlands. Regarding transmission line construction and maintenance, the “Bluegrass State” can serve up headaches and complications. Helicopters can be the cure because they can quickly and easily access points in the Appalachians, the southern Mississippi River floodlands, the western hills along the Ohio River and everywhere in between. 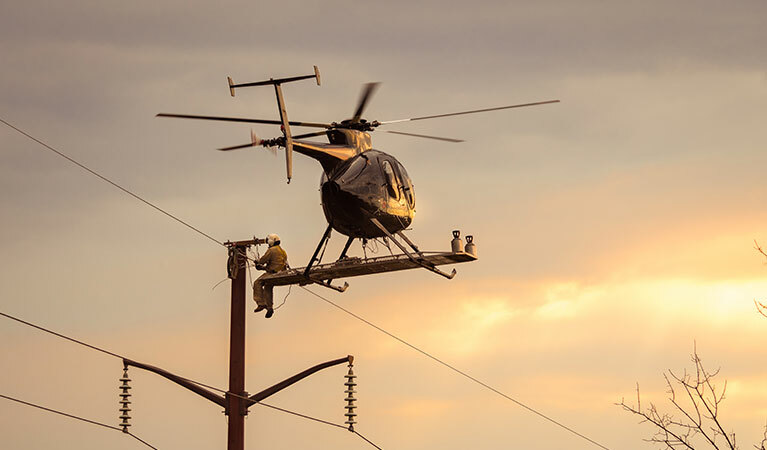 Regardless of terrain or transportation infrastructure, helicopters can help get transmission line projects done efficiently and safely. Global professional network. Free quotes. 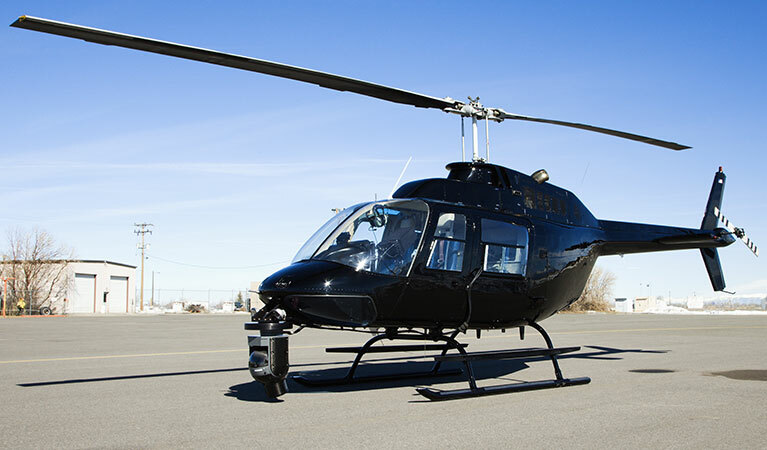 Full helicopter booking services. Tap into a vast network of helicopter operators and get access to any type of aircraft and the skilled, experienced pilots to complete any transmission line job quickly and safely. Call out experts and ask about all the various helicopter options, prices and more. Deliver trucks, equipment, personnel or transmission line construction supplies to remote areas with ease. Haul transmission towers, or remove debris or equipment from site-clearance or maintenance projects. Helicopters deliver fast, effective results, especially in hard-to-reach places or remote job sites. 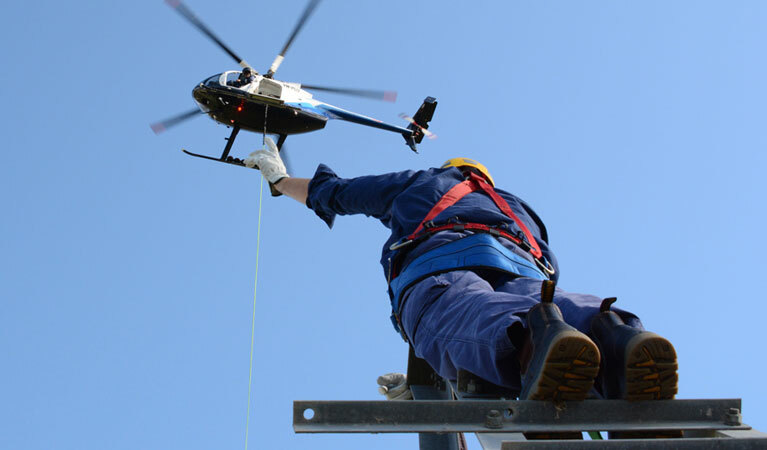 With a properly skilled and experienced pilot, utilizing a helicopter to string transmission wires can be an extremely effective way to complete jobs quickly and safely. Environmentally-friendly in wetlands and other areas, wire stringing via helicopter is a proven method to get the job done. Helicopters have the capability to assist or perform transmission line pole installation jobs anywhere but are especially effective in areas where trucks prove too cumbersome or can’t even access. 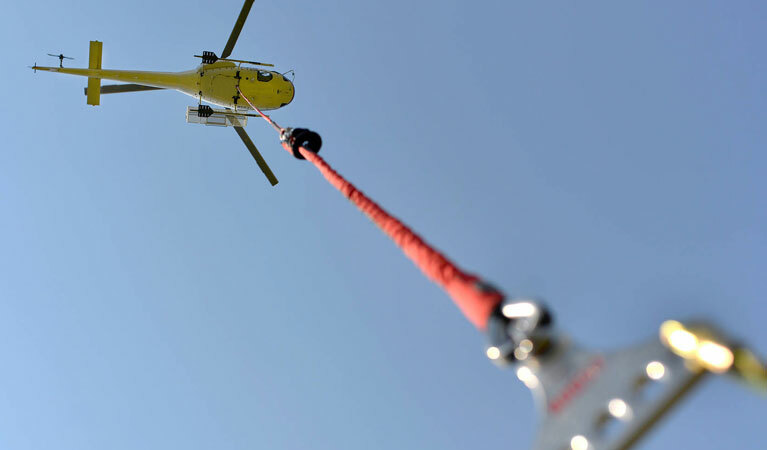 Safe, efficient, and effective, helicopters can be a key asset to pole installation teams. Transmission line inspection and maintenance has one inherent challenge - power lines don’t always follow roadways. Electrical grids often veer off over woodlands, grasslands, marshes, mountains, you name it. Helicopters allow fast inspections of all these areas, boosting crew efficiency and safety. Get Triple Crown service. FairLifts - Helping any Kentucky transmission line construction Project on the fast track. Our customer service experts are available 24/7 to answer questions, provide pricing, or reserve the expert pilots and helicopters required for any transmission line job. With a global network of operators, we can get the ideal helicopter for any project.